Mention Apapa to anyone and the first thing that readily comes to mind, is port city. Not a few Nigerians are aware that Apapa also serves as home to many as government reservation areas otherwise called GRAs dot its length and breath. Nigeria’s legendary political sage, Obafemi Awolowo and a number of his associates and families made Apapa their homes. They found peace and tranquility and enjoyed the coastal atmosphere even as commercial and other business activities take centre stage especially in the port area. But those were the good old days. And as businesses grow in lips and bounds, so were the traffic situation with its attendant burden as Apapa over time, became notorious for gridlocks. The development has also taken a worrying dimension leaving government at both state and national levels with unending clues to the many traffic problems which have defied all logics especially as they concern activities of oil tanker drivers on highways leading in and out of the area. He added that it was the breakdown of operations at the port that was causing the problem which was a recurring one that had spilled over major roads in Lagos. However, the directive did not make meaningful impact as the oil drivers remained as defiant as ever. Stakeholders including the Lagos state government, Nigerian Navy, the Army, the Nigerian Port Authority (NPA), Nigerian Union of Petroleum and Natural Gas Workers (NUPENG), Apapa GRA Residents Association (AGRA), tank farm operators, Dangote and officials of the Apapa Local Government Area had met recently to brainstorm on how to find a lasting solution to the menace being constituted by the oil tanker drivers. Shortly after the meeting,, the Navy took a decisive action and cleared the area of the parked oil tankers and their menace. But before one could say jack, the oil tanker drivers returned with more determination as Lagosians who had heaved a sigh of relieve, were left wondering what could had gone wrong. Once beaten, twice shy, appears to be on the mind of the Navy. They were never going to be taken for granted. This time and barely two weeks ago, the Navy came back with another tactic, cleared the area once more but in a more orderly manner issued call cards to the oil tanker drivers. Henceforth according to the Navy, only those with the call cards are qualified to be on the queue which though remains long but orderly. The nuisance value of the oil tanker drivers however appears to stay. The recalcitrant nature of oil tanker drivers on Lagos roads and bridges has been on the front burner for a long time. Experts and stakeholders have been expressing worry over this matter because of the enormous hazards this act portends for the roads, most especially the bridges. Many are of the notion that governments have their share in this blame because they would just issue a directive without a potent mechanism that would ensure implementation and compliance. They see government as a toothless bulldog in that regard considering the way and manner the oil tanker drivers disregard the orders with impunity. Their actions vividly speak volumes on our non-chalant attitude towards infrastructure in the country. Even, in some developed countries, there have been cases of collapsed bridges claiming heavy casualties. For example on August 1, 2007, a bridge collapsed in Minneapolis over the Mississippi River in the United States, killing about 13 people with over 145 others sustaining serious injuries. More than ten years after the incident, the American Authorities posited that there has been some improvement. However, they discovered that there are still tens of thousands of bridges in US that need to be repaired or replaced. Also, in 2014, a bridge collapsed in Guandong in China, killing 11 people. There are other many cases of collapsed bridges in many parts of the world. The central point of the matter is that if an advanced country that has high degree of maintenance culture still record cases of collapsed bridges, how do we now explain a developing country like Nigeria that has very terrible or zero level of maintenance culture on critical infrastructure? What makes the matter more worrisome is that some of those bridges were constructed between the early 70s and the late 70’s during the era of the oil boom and lack of maintenance are part of the albatross that endanger the foundation of the bridges. It has been estimated that $14bn is what the country needs to fund infrastructure on yearly basis; but what the nation spends annually on infrastructure is estimated at $6bn; therefore, creating a deficit of $8bn. An article titled “Maintenance Culture and Sustainable Economic Development in Nigeria: Issues, Problems and Prospects” published in International journal of Economics, Commerce and Management, laments how passive attitudes of many Nigerians towards roads and all forms of public infrastructure, are taking their tolls virtually on all aspects of our lives. The article reads: “Nigerians find it difficult to maintain their own property and see public facilities as government property which does not belong to anybody. Many public facilities put in place mainly to give benefits to the people are left to decay without any positive actions from the people to encourage the sustainability of the property. Consequently, public facilities do not live up to their life span due to lack of maintenance.” It added that lack of maintenance culture has played considerable role to keep the country at the level of high deficiency of infrastructure in the midst of insufficiency metamorphosing into massive waste. “It is quite unfortunate that the consciousness of maintenance culture in Nigeria is very low. A beautiful edifice is a source of great joy to all at the inception, but in a short while, it is allowed to deteriorate and collapse,” it says. 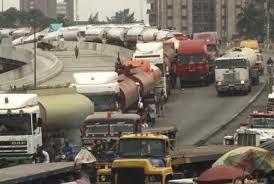 The disturbing issue of oil tanker drivers on Lagos bridges and roads is like sitting on gunpowder because experts have been lamenting that those heavy trucks are weakening the bridges, many which are old and are poorly maintained. So, stakeholders keep on harping on the fact that the situations of the bridges are in precarious states due to the parking of the trucks and trailers. This is apart from the ceaseless traffic jam the trucks are causing in the metropolis daily. This worry is very tenable, looking at some of the bridges that have collapsed so far in some parts of the world, even, the advanced countries as pointed out earlier. The worrisome activities of the oil tanker drives are also associated with other fatal risks such as fire incident, vehicular accidents and crimes. Speaking on the same matter, former President of Building Collapse Prevention Guild, Kunle Awobodu also stated that bridges anywhere in the world are not designed to accommodate permanent load such as trucks and trailers, adding that such trend is extremely dangerous for any bridge. He stated: “In building, you are sure that you have some light load and heavy load, but bridge is designed for a transit load. 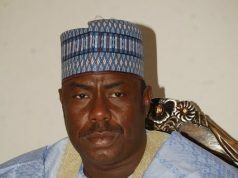 When lorry park and load containers on the bridge, it is not good for the bridge,” Awobodu said in an interview with New Telegraph. 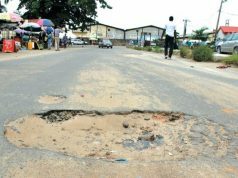 Also expressing his worry on the issue, the Chairman, Nigeria Society of Engineers, Lagos branch, Akin Akintola decried that this lingering attitudes would have long term effects on those bridges. Last year, The Federal Road Safety Corps (FRSC) also warned that the ceaseless gridlocks on those bridges have damaging and disastrous effects on them. Talking on behalf the organiation, Hyginus Omeje, the Lagos State Sector Commander of the FRSC, in an interview with the News Agency of Nigeria (NAN), stated that those projects are capital extensive that need to be properly used and maintained. In his statement: “We are sitting on a keg of gunpowder because the bridges are weakening on a daily basis as tankers, trucks and articulated vehicles are parked on top of them, due to traffic congestion. “When these vehicles are stationary on the bridges for a long time, they have a negative impact, including deterioration, bridge-fatigue, damage or even collapse; moreover, there is no money anywhere now to build these kind of solid bridges again. 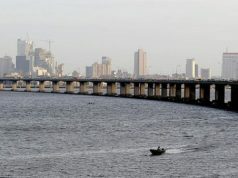 “The Ijora, Eko, Carter and Third Mainland bridges are expensive projects that require huge capital to execute. So, it is urgent that we do whatever we need to do, to preserve these bridges, so as to make them last longer,” he noted. Justifying the action of the oil tanker drivers, the Vice President, National Association of Road Transport Owners (NARTO), Abdullahi Mohammed Innua cited perpetual cases of gridlocks as the reason for their actions. “We are not happy that trucks are parked on Lagos bridges from Ojuelegba to Apapa, but the incessant gridlocks and presence of various security agencies of government parading as task force, coupled with ongoing construction necessitated the action,” Innua said. The bridges at Stadium, Ijora, Ojuelegba and Abati Barracks which are not designed for heavy loads are estimated to be accommodating containers that weigh a hefty 1.53 million kilogrammes on an average day; a situation that has become a great source of worry for experts, stakeholders and Lagosians generally. It remains to be seen where the ding-dong between the oil tanker drivers and the Authorities particularly the Lagos government, will lead to. For now, Nigerians are watching with bated breaths.